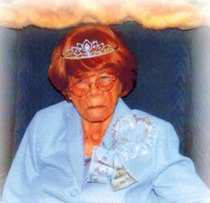 Mrs. Bertha Phillips Coleman was born December 01, 1914, to the late Mr. Jim and Mrs. Julia Cummings Phillips of Union Springs, Alabama, the third sibling of this union. Mrs. Coleman believed in the Lord and confessed Christ at an early age and became a member of Mt. Silla Baptist Church, where she served faithfully on numerous auxiliaries. One of her favorite Bible verses was, "Honor thy father and thy mother that your days may be long in the land which the Lord thy God giveth thee." She was an eager learner and was proud of the education she received in the Union Springs Public School System. Mrs. Coleman has been an activist in the Union Springs/Bullock County Community throughout her lifetime. The matriarch of the Phillips and Coleman family, she was a homemaker, devoted wife and business partner most of her life, taking care of her parents, siblings, her children, grandchildren, nieces, nephews, other family and friends. She retired from the Veteran Hospital (Tuskegee, Alabama). Mrs. Coleman sincerely loved her family, visited the sick and gave cheerfully to those in need. She participated devotedly in various organizations and programs as Order of the Eastern Star, American Legion Auxiliary, Bullock County NAACP and the Ladies Aide Society. She married Deacon John Coleman, Sr., (who preceded her in death) and to this union seven (7) children were born. Mrs. Coleman believed in her children being educated and talked about her children and grandchildren's accomplishments to "anyone who would listen." She was preceded in death by her nine (9) siblings: Andrew, Victoria, Mamie, George, Otis, Jim, Willie, Tee and Lucille; one (1) grandson: Edward Reginald Reynolds. She leaves to cherish her memories six (6) daughters; Julia Irvin, and Bernice Morgan of Detroit Michigan; Mary Burton of Oak Park, Michigan; Johnnie Parker, Bertha (Dr. James) Poe of Union Springs, Alabama, Dr. Rubye (Dr. Johnny) Sanders of Hodges, South Carolina; and one (1) son, Pastor John (Mattie) Coleman of Union Springs, Alabama; ten (10) grandchildren; John Bernard (Nettie) Jones (whom she raised as her own); LaSaundra (Jeffrey) Williams, Sammie Moore, Crystal Poe, Atty. Jabari (Atty. Gladys) Poe, Villi (Willie) Nelson, Dr./Atty. Quentin (Dr. Precious) Sanders, Valerie Coleman, Tomekia Jordan, and John Coleman IV; twenty-one (21) great-grandchildren; a host of devoted and loving nieces, nephews, in-laws, other caring relatives, friends, neighbors and Church family. Very special nieces Maudie Fortson, Mary Alice Medlock, Annie McNeil, and Dorothy Nichols and adopted sons, Rodney Taylor and Allen Williamson.